I like obscure things; I like finding obscure things and shining a spotlight on them. And so, I decided I needed to learn a bit more about it all to quench my curiosity. The following is an interview with game developer Gareth Murfin. Halloween Love: I recall reading that you previously worked at Rockstar Games or possibly even on Manhunt, but can’t seem to find it again. Can you expand more on the story there? Any interesting anecdotes? 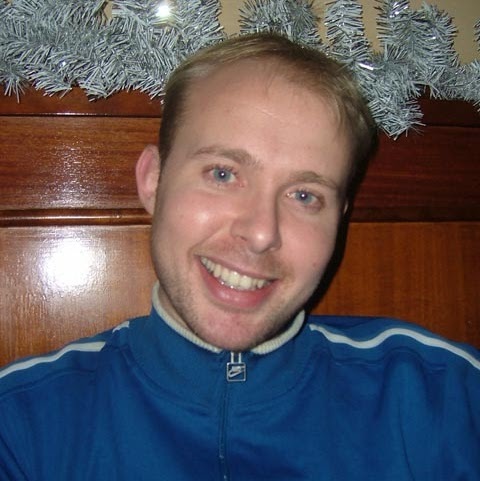 Gareth Murfin: Yes, I worked at Rockstar North in Edinburgh in around 2001 on the GTA: Vice City team. I did not work on Manhunt, but it was in development in the studio at the time I was there, and I would look at it and think wow what a cool game!! You probably read it on the Manhunt forums, I posted on there when I was promoting Bishop Stix. I wasn’t at Rockstar very long, I was not enjoying being just a cog in the machine given that until then I had been the designer and developer of all my games. I left to pursue a Masters degree which would help me set up my own studio. One weird thing was when I got there the guy doing the music for GTA was actually the musician for my previous Amiga game Zombie Massacre. He had previously shown it to them so they actually knew what it was. Rockstar themselves were Amiga developers back when they were DMA Design, in fact they changed to Rockstar the day after I joined, so technically I’ve worked for DMA, the geniuses who brought us Lemmings, GTA and more. HL: Besides working on solo projects or as a freelance app developer, do you work with any game studios? Have you considered starting your own indie studio? GM: Yes, the plan was to make some decent mobile titles and form a studio, the Masters degree was to help me understand the business side of things. It never did happen because I ended up going into freelancing and working on many games for other studios. I did ports of Paperboy 2, Bust-a-Move/Puzzle Bobble, Double Dragon EX, Chuckie Egg and more for Elite Systems, and I also worked on the Ice Age game and NHRA Drag Racing for DC Studios in Glasgow. Ultimately, I designed my own game (Super Wah Wah Ball) and sold it to DC Studios before I left. I have also worked on various other non-famous games for companies around the world, and in my spare time I am always developing a few games – for example some of my previous games were Radiant Silver Sphere, The Dead Walk, Return to Delos, Chromelandia, Toilet Screamers etc (these can all be seen on my channel). HL: I know that your Kickstarter campaign failed, but have you considered trying again, or maybe using GoFundMe this time, where you’re able to continue to collect funding without any time or goal requirements? GM: I haven’t considered trying again, I don’t enjoy running campaigns and they have always failed for me! I had one back in 2012 for the main game I am still working on. Don’t worry if you like the look of Bishop Stix it is still in development, it will be a sub-game of my main game which has been in development now for almost 7 years, it’s called Genocide Dolphins. HL: What’s your favorite horror movie? GM: Dawn of the Dead (1978) is by far and away my favourite movie. I have been obsessed by that film since the day I saw it, in fact most of the games I built as a child were based on Dawn and Day. I made 2 FPS games (Ultimate Gloom and Zombie Massacre) for the Amiga computer, which were all about zombies I also had an unfinished PC/Amiga zombie game called The Dead Walk, which never saw the light of day due to the cost of the artwork, but you can see the development diaries of this on my channel and where I ended up, it was looking great and all of the tools and engine were developed by me from scratch. 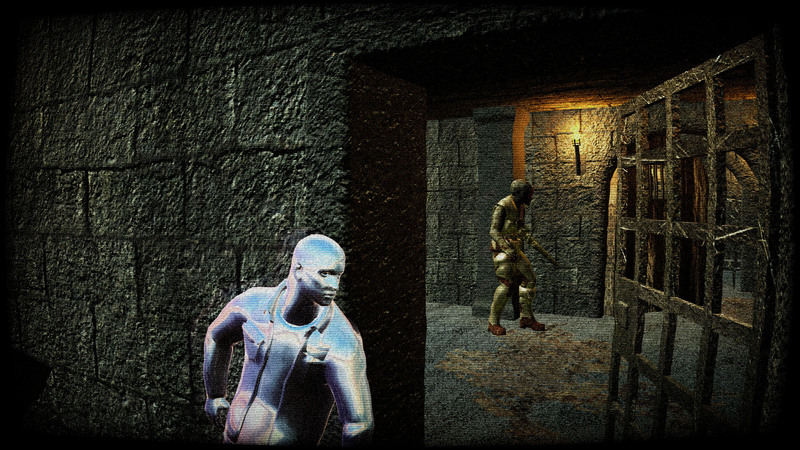 You could use the editor (Dead++) to drag and drop levels and place zombies in real-time, very fun. GM: As a child I did enjoy Halloween, my mother would make us a costume out of bin bags and stick shapes of things on it, like a moon or a witches broom – looking back them costumes were comical but it was exciting. Where I am from at Halloween we go dunking for apples, which is where you have to try and get an apple out of a barrel full of water with your hands tied behind you back. We also used to go around the houses trick or treating of course and various other things that would leave us a complete mess – I think Halloween was meant to be messy in UK in them days because I seem to remember people spraying foam all over everyone, oh and we used to mummify people with sticky tape. HL: If money were no object, what would be your dream project (video game or otherwise)? GM: It would probably be the game I’m working on right now, but with much better art assets and more functionality. For years I’ve wanted my main character to have the fluidity of Spider-man, though I guess if I get that right now it will never stand up to the current Spider-man game! I would also like to have great AI in the game, but I am working on that. I guess the best point of having no money worries would be that I could work on the game full-time without having to stop to make apps to pay the bills. I always dreamed of making a proper zombie film too, something like Dawn of the Dead, but I think there’s probably too many zombie things around now anyway. HL: Any upcoming projects that you’re excited about that we can give a shoutout for? GM: Yes Genocide Dolphins, it’s as weird or weirder than Bishop Stix :-) And it comes with Bishop Stix built in, along with many other cool sub games I have been working on. I am very excited for this game, it has a crazy art style that people seem to like recently, I had a “reach” of 10,000 on one screenshot on Facebook the other day and lots of positive comments. HL: What’s a question you’d like to be asked, but never have been? Go ahead and ask yourself that question now and answer it. GM: That’s a tough one, I guess it would be something about the history of how I got here. I started becoming interested in games in the ’80s as a child, we had a ZX Spectrum and a ton of games, I was even trying to learn Basic to write my own, and used to spend hours in HURG, which was a game creation tool. After that I got into the Amiga and continued trying to make games – I finally achieved it when I did (what we would call today) a total conversion for a Doom clone called Gloom. Because I had replaced everything it was eventually considered an official sequel and released as not only one of the first Amiga CD games, but also one of the last, the Amiga was dying. I pumped out one more based on the same engine/tools and released my last Amiga game Zombie Massacre. After that I moved over to PC development writing games in Java, then C# for Xbox and now ultimately C# and Unity, which is a great combination. HL: At HL, we love getting weird. Anything bizarre, random, or off-topic you’d like to share? GM: Mostly I want to plug Genocide Dolphins :-) It is pretty bizarre, this game will not be done for a few more years but it should be worth the wait!.. As I said it contains quite a few crazy sub-games that hopefully will go down well. I’m trying to make something a bit like GTA, but with no cars or police and set in a ridiculous world. It’s not 100% serious, more like a cross between Hitchhikers Guide to the Galaxy and Monty Python.